Let's get to the root of the problem. Go Dental in Calgary proudly offers patients root canals for those suffering from a severely damaged or infected tooth. 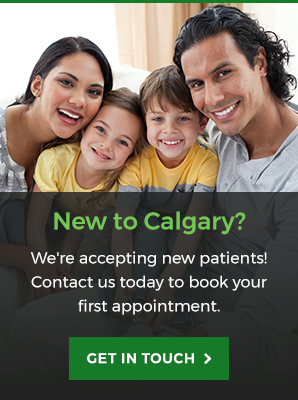 Our team of dentists at Go Dental in Calgary can provide you the right and most effective treatment for your unique dental care needs. A root canal involves the removal of dead, injured or infected tooth pulp. The space inside the hard layers of your teeth is called the root canal system. When bacteria enters your tooth through cracks or damaged fillings, it can cause an infection. If the tooth is left untreated, it can cause serious oral health issues. Contact us to determine if a root canal is the appropriate treatment option for you. We're open 7 days a week for your convenience.